Slovakian developer Cypronia has gotten in touch to share details on its latest 3DS eShop title, a unique release which mixes puzzle action with augmented reality. 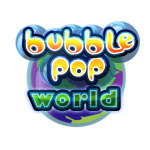 Bubble Pop World uses the AR card which came with your 3DS system to create virtual puzzles which have to be removed by firing bubbles to create matches. A whole host of puzzle stages are promised, and you'll be able to create your own and share them with friends via a QR code. To round off the package there are a selection of arcade mini-games — which seem to revolve around peppering underwater creatures with deadly bubbles — also on offer. The game will launch on the North American and European 3DS eShops in April. The AR capabilities of the 3DS haven't been used to their full potential, so it's encouraging to see that indie developers are exploring what is possible on the console. Watch the trailer below and let us know what you think of this newly-announced release. Nintendo has it on their website listed as coming out today, was just doing my normal early Thursday morning Nintendo lurking and checked by chance. Now I'm confused. Instabuy!! I don't usually do that but i have to support these devs and encourage others who try new things with the 3ds! According to Nintendo's website, Super Mario Bros 3 should have been released in 2013, too. This game looks interesting, and came out of nowhere. Looks like it will be released today, according to usual Nintendo Download info site. I'm glad to see new uses for the AR cards that came with my 3DS, I find this encouraging. I really think the Pokemon Card Game should have a new series where what you play can be scanned via AR of your 3DS and that way you can see your pokemon fight when you choose a move (on the 3DS). It'd be able to mark how much damage each pokemon can and has taken, as well as item cards and their effects. I'm sure this would be a large undertaking, but I really think it'd be possible and increase players of the trading card game, heck, I'd start playing (I have played the TCG since the first couple years they started coming out). Looks interesting. I haven't seen and played a game that uses AR card(s) since Kingdom Hearts 3D. I am surprised (in a good way) that a indie developer is tackling a feature like this. A good sign of progress. yes more AR! even though its a cheesy game, the ar makes it worthwhile to me. i think i will get this. now i only wish the 3ds had a headmount so it wasnt a pain to keep your eyes in the right spot for 3d while moving around lol. Awesome! 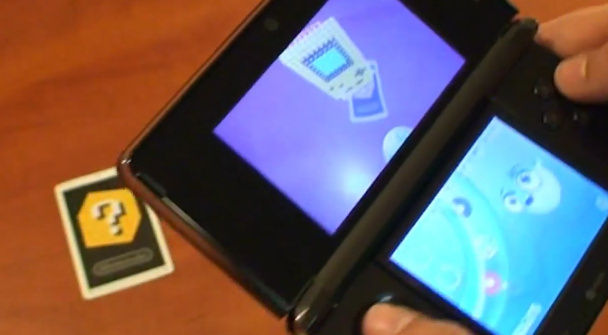 I had high hopes for the AR capabilities of the 3DS, glad to see it's being used at all. AR was one of the major driving forces of my getting a 3DS so soon, and then kicking myself when the XL came out a month later.